England batsmen consolidation their team’s position in the third and final Test against the West Indies in St Lucia. Keaton Jennings and Joe Denly took the score to 69-1 as England’s overall edged towards 200. The West Indies on Sunday were bowled out for 154 after pacer Mark Wood blew them away through sheer pace as he picked up five wickets. Will England managed to pull one back and end a tough series with a win? Catch the live updates below. 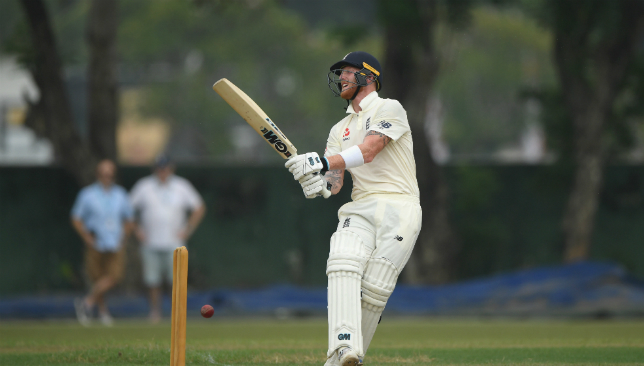 Ben Stokes kept his composure after being asked to resume his innings in unusual circumstances during day one of the third Test against the West Indies. England, who have already surrendered the series after back-to-back defeats, were on course for another bad day when Stokes arrived at the crease with the score at 107 for four in St Lucia. He went on to make 62 not out, with Jos Buttler unbeaten on 67, as a defiant and unbroken fifth-wicket stand of 124 left the tourists with considerably brighter prospects of salvaging some pride. But the all-rounder had to cope with the disorientating experience of being sent to the pavilion after Alzarri Joseph completed a sharp caught-and-bowled, then recalled to the middle once replays showed the seamer over-stepping. “I was just sat in my chair and when I heard the shouting I thought someone had got out. It was a good job I didn’t take my pads off,” he said with a smile. “I just heard people shouting ‘no ball’. It’s a first for me and it’s probably something they need to get control of. “In international cricket you shouldn’t be walking off, getting into the changing rooms, and then back out there two minutes later. Thank God for technology. Stokes might have been in light-hearted mood at the close but he did plenty of serious work to push England to 231 for four, their best position of an otherwise miserable series. He had not even been certain to play 24 hours earlier, after suffering a badly bruised heel, but it always seemed a long shot that the tireless all-rounder would be kept off the field. “There were a couple of times when I felt it out there, turning and stuff, but when is a sportsmen ever fully fit? We never are,” he said. Stokes has been going through an indifferent period of form with the bat, having scored his last century in August 2017 and lost some of his freewheeling style in pursuit of a more compact game. There were signs of the old Stokes strokeplay at the Daren Sammy Stadium and he revealed that was down to a rewatch of his 85-ball hundred against New Zealand at Lord’s four years ago – the fastest ever ton at the home of cricket. STUMPS: A day for England fans to smile over. “I thought I was a bit stuck over the last couple of months but watching myself at Lord’s this morning did me the world of good,” he said. “I actually got our analyst to get up the game against New Zealand. I’ve been working with Ramps (batting coach Mark Ramprakash) to go back to a technique similar to that. I think in the back of my mind, watching myself do well with a certain technique I could just take that with me. 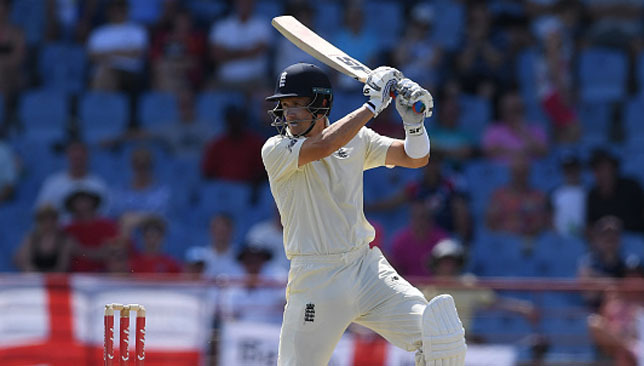 England have decided to recall Keaton Jennings in place of dropped wicketkeeper Ben Foakes while including injury doubt Ben Stokes in a 12-man squad for the final Test against the West Indies. Jennings was axed for last week’s 10-wicket defeat in Antigua but will return at the first time of asking, leaving Foakes in the cold and Jonny Bairstow to reclaim the gloves. Foakes had been struggling with a bruised hand but was passed fit for the match at St Lucia’s Daren Sammy Stadium. 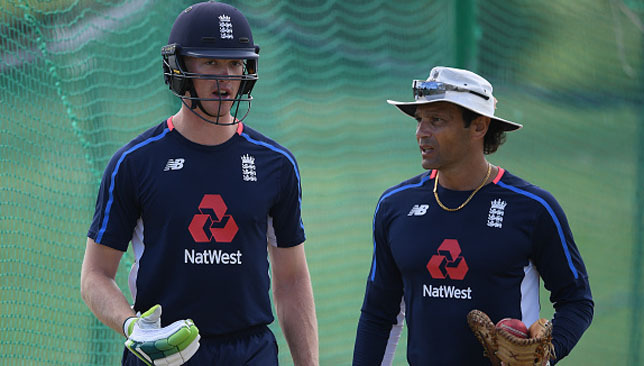 Stokes has been suffering from a bruised right heel but trained with the team on the eve of the Test and will be assessed before a final decision is made on his involvement in the morning. If England decide not to risk the all-rounder Sam Curran will keep his place, with paceman Mark Wood set to play regardless. England’s selection over the course of the series has betrayed muddled thinking, with the U-turn on Jennings and the seemingly harsh treatment of Foakes merely the latest example. Stuart Broad was left out of the opener in Bridgetown, a pitch seemingly made for his style of bowling, Joe Denly was installed as an opener last week despite not having done the job at county level since 2015, Adil Rashid played the first Test and was then allowed to return home as surplus to requirements while Chris Woakes has travelled without being fit for any of the three Tests and Wood was not even part of the initial touring party. Foakes’ ousting is a particularly eye-catching decision. He scored a fine century in his maiden Test innings in Galle, having come into the side as an injury replacement for Bairstow, and finished as man of the series in the 3-0 whitewash against Sri Lanka. He has been less guilty of poor strokeplay than most of the top seven since landing in the Caribbean and, with a batting average of 41.50 from his first 10 innings, might wonder quite what he has done wrong. The decision to go back to Jennings, who has had all of two net sessions since being removed for the second time in his England career, probably lies in his eagerness to bat at the top of the order. Too many of England’s impressive strokeplayers are best suited to lower middle-order roles, artificially promoted by necessity rather than aptitude. Bairstow, having regained the wicketkeeping role he treasures, has filled in there for the last three matches but will now drop back to six or seven. 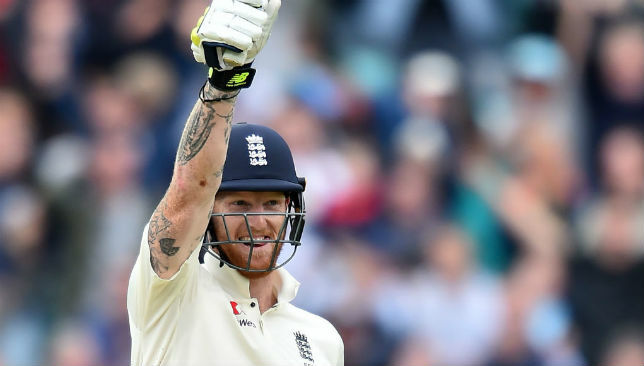 As for Stokes, England will need to balance their reliance on him as an all-action cricketer – able to bat in the top five, bowl quickly and tirelessly and field brilliantly – with a duty of care. With a World Cup and an Ashes series still to come in 2019, pushing him to the limit in the last match of a surrendered series might not be the pragmatic solution. “He’s an integral part of all three formats and has been for some time now. He gives you great balance across the board,” said captain Joe Root. Root suggested the 77 overs Stokes has sent down in the first two Tests were the reason for his current predicament but did not dismiss suggestions he had stood on a rock during a fitness session on the beach. “Whether it was before that or during that I’m not really sure to be honest,” said Root.